The Music Marketing Academy is a comprehensive online video school that teaches everything you need to know to build a successful brand in music; whether you’re an independent artist, songwriter, recording artist, producer or music industry professional. With over 15 hours of video content the academy is a step-by-step framework which you can use to leverage the internet to build a thriving fan base and get exposure. The videos are a combination of high-quality studio recordings for the strategic topics, paired with instructive screen-flow and keynotes, where you can follow every step and learn exactly how to execute the most precise strategies. A selection of bonus content is also provided for the advanced package, including written articles on the music business and interviews with industry experts. 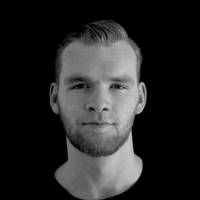 Budi Voogt — Co-founder of Heroic, author of The Mastering Bible. Every successful act, whether in electronic music, rock or any other genre, has a unique value proposition. Something they stand for, a unique vision and mission that helps them to both differentiate themselves, but also serves as a means to measure all of their efforts again. Your visual presentation and the set-up of your social media strongly affect how people perceive your brand, as well as the chances that fans will interact with you once they’re exposed to your content. The combination of an appealing visual strategy and having an optimized social media presence across all relevant platforms (including Facebook, YouTube, SoundCloud, Twitter and Instagram) forms the essential foundation to brand growth. Effective use of social media allows the attentive artist to quantify their audience and learn from them, from where they live, to what they like, what times they are most active and what types of content they respond the best to. All of these data points can be used to optimize your marketing strategies. We believe that email marketing is the king among marketing strategies and that an email subscriber is much more valuable than a fan on social media. exIt’s a gateway to building long-term relationships with fans and by effectively using email marketing you can convert subscribers into dedicated supportive fans. Today’s consumers don’t want ownership of your music or other content per se, rather it’s about providing easy and comfortable access. That’s why you need to have a solid distribution strategy that makes your music available on a wide range of platforms. And, to compensate for consumer’s short attention span (created by the surge of distributed content) a strict release schedule is necessary to maintain relevancy and acceleration. When you consider doing PR, it’s all about understanding the arena. You need to penetrate your segment of the market and then expose your music to enough people so that you ‘saturate the market’. The best way to do that is to get through to the right tastemakers, especially in the fields of online blogs, Hype Machine indexed blogs, YouTube and SoundCloud promotional channels, relevant artists, DJ tastemakers and offline press. Finding them can be hard, however we’ve got an easy way for you to practically track everyone. 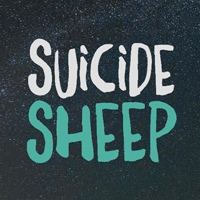 Once you’ve successfully tracked and indexed the tastemakers in your niche, you need to be able to successfully pitch to them, it’s an art form that few manage to master, however we give you the exact blueprint that you can use to effectively build lasting relationships and get your music featured. We’ll teach you how to perfectly craft a release schedule that allows for no mistakes. Your blog coverage, social media posts and uploads will be timed so that they will generate the maximum results and lay the foundation for future success. This covers the timing, as well as what steps to perform on social media, how and what types of email blasts to send out to your audience and how to get the most out of the PR buzz you’ll create. To give you an even better understanding of how to employ these strategies, we’ve completely dissected our most successful releases. These studies show you exactly what we’ve done in terms of timing, branding, PR, coordinating premieres & features – so that you can replicate those models and execute yourself. For those that are truly dedicated, we’ve included our thoughts and a blueprint on why you need to build a team around you (to take things to the next level). And to better understand the responsibilities of each industry’s most common roles (artist managers, booking agents, publishers, A&R’s and so on) we have outlined all this in a few extra articles for you. Nothing provides a better understanding of the business than hearing the experts talk. That’s why I’ve sat down with industry power players, ranging from PR agents to tech innovators and marketing bloggers, to give you insight into their minds. Together we’ll go through bite-sized lessons that are easy to follow whether you are already more advanced, or more of a beginner. The academy is designed around 1 thing: your success in becoming truly great at music marketing. Got a question? Ask us in the comments below a video. Want some feedback? Share it in our private Slack community. A strong long-term strategy and content plan, which will allow you to build upon your successes and develop momentum. The Music Marketimng Academy contains over fifty videos. All recorded in high definition in a quality environment. After completion of the entire Music Marketing Academy you will receive an official Graduation Certificate and an embeddable Graduate Emblem. If you can show us that you’ve gone through The Academy, built the databases and rolled out a release without success, We’ll gladly give you your money back. No sweat. 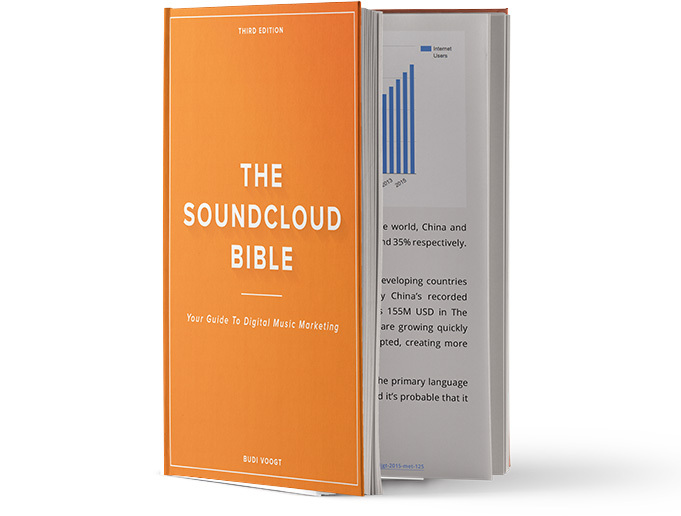 Included in the Music Marketing Academy, you also receive Budi’s book: The SoundCloud Bible. The ultimate guide to digital music marketing and crushing SoundCloud. The fact that you’re here already shows me that you are interested in making a difference. In changing your trajectory and either having yourself as an artist, or the artists that you represent, stand out and make a difference. That’s exactly what we’re trying to do. You see, four years ago I started managing my first act while in university. Hugely talented guys, but they didn’t have any track record. As I discovered a passion for the music business, marketing and entrepreneurship, I started signing more acts and launched an agency. However within a short span of time it became clear to us that without a track record, huge plays or big name collaborations, it was incredibly hard to get the attention of the established players; the label executives, big time managers, publishers and agents. That’s when it dawned upon us – our initial success came from the internet. Why not fully focus on thriving online, so that became our leverage? We started Heroic, our label group and management agency. Our goal was to turn the tables and create the fanbase, traction and negotiating power ourselves. Fast forward four years and Heroic is responsible for multiple labels (such as Heroic and bitbird) and the management of five artists. 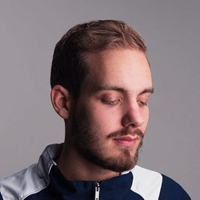 We represent San Holo (who rose from 4.000 followers to 180.000 in a year) and is now touring the world, as well as WRLD whom at only 17 years of age is releasing with powerhouse label Monstercat and just had his new EP hit #9 on the iTunes Electronic charts in the USA. Some of you may know that this trajectory led me to write The SoundCloud Bible. Because SoundCloud was so essential to our growth and when I discovered that there was no resource out there that taught people how to use it, I had to go out there and fill the gap. But as we gained more experience, the book simply wasn’t enough. It didn’t cover all the basis. You see, the growth of our artists and labels wasn’t driven by just SoundCloud. It’s a combination of a deep understanding of using the internet, paired with a strict content schedule and an knowing how to leverage social media platforms, email marketing and the blogosphere. That’s why we’re launching the Music Marketing Academy – because just like there was no resource that taught you how to dominate SoundCloud, there’s no comprehensive, up to date and actionable resource that teaches you how to develop a thriving music career by leveraging the web. We’re super excited to share this with you, as with this course, so many artists that are making incredible music, that either have minimal audiences or struggle with growth, will now have access to our tried and tested methods for actually getting traction. I hope this helps you understand why we’re doing this and why you should join the Music Marketing Academy. There are two scholarship levels in the Academy: Basic and Advanced. A Basic scholarship gives you access to the full course, but not to updates and the Inner Circle community. The Advanced scholarship has bonus content, including in-depth interviews with industry power players and grants access to the Inner Circle community (where you can talk directly to our team) and updates to the course. You can pay for the Basic and Advanced scholarships via a one-off payment, or in 6 monthly instalments. The Academy has a 14 day money-back guarantee. However, your success is dependent on making good music, going through the lectures and actually putting in the work. Not at all. The Academy Method is applicable to any type of music or genre. Frankly, you might even be able to use it to market non-music content, as the framework is based on marketing fundamentals. The Academy consists of 15+ hours of video content, neatly separated into bite-size lectures between 5-30 minutes of length. It’s created for you to consume at your own pace, whether that’s five lectures a day for a week or a few a day for a month. You can pause at any time and pick up whevever you left off. What if I already have an audience and measure of success? Even better! The Academy Method will help you accelerate your growth and is even more effective when you can tap into an existing pool of fans. What if I’m a brand new artist? Great – we’ve got you covered. You’ll learn how to build an audience and get traction from scratch, putting you miles ahead of the competition (who often have no marketing strategy at all). For any songwriter, recording artist, producer, musician, industry professional or label executive looking to get more exposure and build an audience, either for themselves or others.